Decay is a fragile flaking original abstract painting using grey and green acrylic on a 50cm x 40cm canvas. A thin base layer of clay has been applied to the canvas and flaked off once drying to expose the muddy green layer beneath. To prevent further decay from the painting, a layer of PVA is used to give the painting a glossy finish and seal in the flakes. 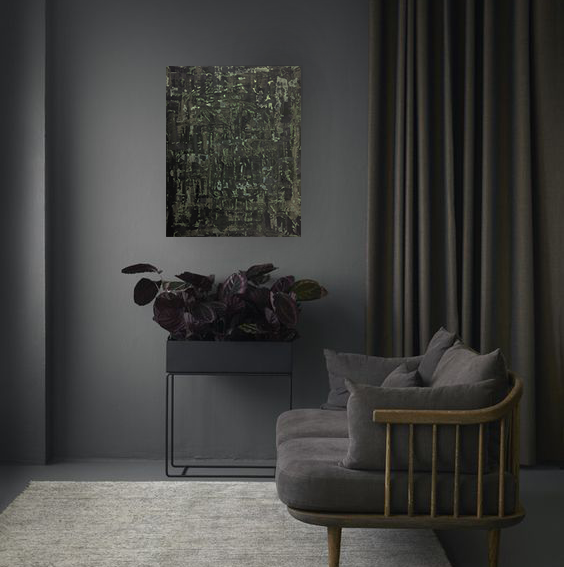 This dark but delicate painting is a great textural addition to a room.